9 Ga Wire X-Heavy Beaver (9wire) Northern Sport Co.
9 Gauge Snareman's support wire is available in 3 1/2 lb. and 10 lb. rolls. 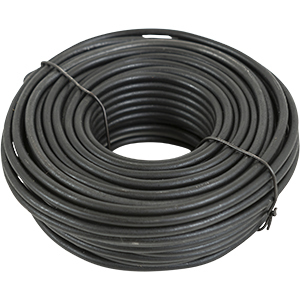 This wire is recommended for use by the water trapper for beaver and is also an excellent support wire for the snareman. Each 3 1/2 lb. roll has approximately 60 feet of wire. A must have on any trapline!